WordPress has risen to success and fame on a platform of ease of use and beginner friendliness (among other things). However, to truly customize your site you often still need coding skills or professional help. This fact has paved the way for page builder plugins, which have made it easier to make sweeping site changes right from the back end. When you discuss WordPress page builder pros and cons, this is usually the strongest argument for using them but there are more reasons to do so. However, page builders also come with disadvantages and don’t make sense in every scenario. If you are a WordPress user and asking yourself “should I use a page builder?”, this post will help you answer that question. In the following, we will talk about what WordPress page builder plugins are, which candidates exist and the benefits and drawbacks of using them. Hopefully, by the end, you will have a clear understanding of whether or not they are a good option for you. Before getting into the pros and cons of using these types of plugins, let’s first make sure you have a clear understanding of what they are. As mentioned in the introduction, WordPress is very easy to use, even for beginners and non-technical people. The user interface is intuitive and allows you to perform most tasks with just a few clicks. This is especially true since the introduction of the Customizer, which provides a central place for making site changes. However, if we are completely honest, there are some areas that remain beyond the reach of everyday users. This includes creating new page layouts via templates, adding widget areas, implementing new navigation menus and similar tasks. WordPress page builder plugins solve this problem. 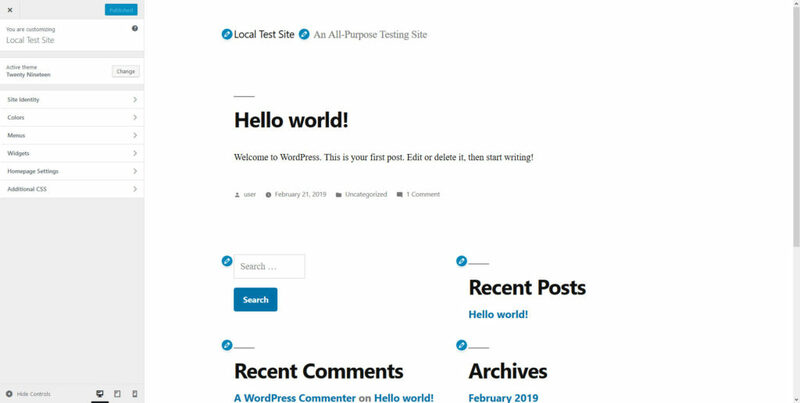 They give users the ability to perform the above jobs and more from the WordPress back end — completely without coding. Instead, they provide a graphic user interface to achieve the same via drag-and-drop and mouse clicks. As a consequence, you no longer need to know code to adapt your theme to your needs. Instead, you can realize your vision in the same fashion as you control the rest of your site. This can significantly extend possibilities for everyday users and also cut down the time and effort it takes professionals to build a site. Page builder plugins also let WordPress directly compete with website builders like Wix and Squarespace. Their draw is that they make it simple for non-developers to create websites. With page builders, you can have their convenience but still own your site and its content (which you often don’t with website builders). This is potentially a game changer and another step toward democratizing web publishing. All of them have different approaches to page creation and often large communities behind them. Some of them have even grown into successful (as in multi-million dollar) businesses. So, should everyone be using a page builder plugin? That’s what we will talk about now. So, back to the question “should I be using a WordPress page builder?” Let’s discuss, starting with the arguments for doing so. We have already mentioned this as the main reason for why people use page builder plugins in the first place. It’s because it gives you the ability to create and customize designs that otherwise would be outside of your abilities or that you would usually have to pay others for. You can create landing pages, add headers, adjust layouts, include widgets almost anywhere, and a lot more without writing a line of code. That way, you no longer have to compromise on your vision and limit yourself to what the theme offers. Just add elements of your choice to your layouts and customize their look and behavior on the page. In addition to that, many page builder plugins also offer front-end editing or an equivalent so you can see what your work will look like in the context of your site. This can save a lot of time (to research or communicate with a developer), money (to pay for the help) and frustration (where is all my time and money!?) It also allows creatives who usually only provide the design of a site to also implement it and thus offer more services to their clients. In addition, many page builder plugins offer ready-made templates you can use as jump-off points. That way, you don’t even have to start from scratch. Pro #2: So. Many. Features. With a page builder plugin, you not only get the ability to create a WordPress site without coding. Most of the time they come with a wide range of features for which you usually need to install multiple plugins to get them on your site. This includes everything from image carousels over testimonials to social sharing buttons and pricing tables. As a consequence, page builders can really save space in the plugin section and, if you go the premium route, money. Instead of paying for several specialized plugins, you only shell out funds for one and get the functionality anyway. Plus, with updates, you can expect new and improved features over time. As a consequence, you get additional functionality without researching, testing, and learning a new and dedicated program. Plus, you can use it within a familiar interface. While the above sounds peachy, not everything is great about page builder plugins. Sometimes the biggest problem with them actually appears once you decide to stop using them. Depending on which solution you picked, when you switch the plugin off, you might be left with broken page design and a mess of code on your site. Especially those that use shortcodes to create the design leave a lot to be desired after deactivation. Shortcodes are specific to plugins, therefore, they will stop working once you switch them off and simply appear on the page as text. It can be really annoying to see your whole site design collapse once you stop using your page builder or want to switch to another solution. In that case, you have to create it all over again and also clean up your entire site. If you are that dependent on one piece of software, is that really a good thing? This problem is especially prevalent with the older generation of page builders. Newer entries often try to leave your site as is even when you stop using them. For that reason, before committing to a solution, research what happens when you decide to quit. It’s a long-term investment, so make sure it’s the right one. Page builder plugins offer lots of features in order to appeal to the greatest number of people. However, this often comes with a price. All that extra code can do a number on your site in terms of performance. For example, in order to achieve their layout, many page builders create a lot of nested HTML and non-semantic code. It’s only natural that pages built this way are not going to be as lean and optimized as something created by an experienced front-end designer for an exact purpose. As a consequence, it takes time and processing power to load and execute, which can also affect SEO (for a look at page builders from an SEO perspective read this post). In addition to that, since you have so many options to choose from in terms of page elements, you are more likely to use them. Therefore, using a page builder plugin can really do a number on your site speed and different builders have different effects on this. Speaking of which, one of the main advantages of WordPress page builder plugins is that they enable everyone to make sweeping changes to their websites. However, just because you can, doesn’t mean you should. One of the most frustrating things for developers and site implementers is often when clients take matters into their own hand. They install plugins, make design changes and more — often with disastrous results. If you can do this with a standard WordPress setup, imagine what’s possible with a page builder plugin. Few people are experts in web design. So, even if they use the power given by page builders to the best of their abilities, the results will often simply not be sufficient or satisfactory. In short, sometimes it’s better to leave this stuff to actual experts. 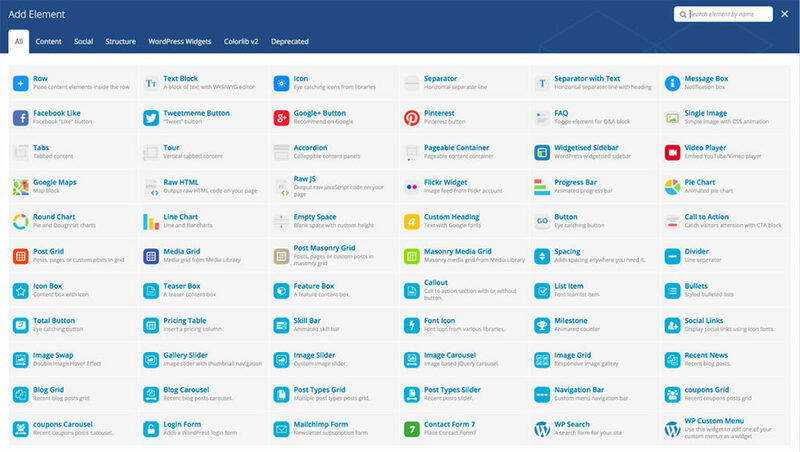 Page builders can be a great thing for everyday users and professionals alike. They make it easy to implement complex designs without the need to code. This is great, since, even though WordPress is very easy to use, true customization most still often needs at least basic development chops. Just like everything else, using a page builder plugin on your site comes with benefits and disadvantages. On the pro side is the ability to create designs via drag and drop and a wide range of features. On the con side, page builders can be difficult to transition from, have possible performance issues and come with a greater risk of messing up your site. In the end, they can be a great tool for different scenarios. If you educate yourself and plan your site ahead, page builders can be absolutely sufficient for implementing your plans without hiring a developer. This is especially true for simpler, mostly static sites. If you are not too literate on how to create a whole site, they are still good for making quick changes without professional help. Alternatively, at the very least, it can make sense to hire someone for the design part and then, if you are handy with a page builder plugin, build it yourself. However, on the other hand, if you have absolutely no idea what you are doing, page builder plugins potentially just allow you to mess up on a grander scale. Web professionals exist for a reason. If that sounds like you, it’s maybe best to give your site into the hands of one of them. What are your main pros and cons of using WordPress page builder plugins? Anything to add to the above? Please let us know in the comments section below!